Yes.no is an online community where users can “crowd interview their heroes”. So today we ask Levy himself a few questions! 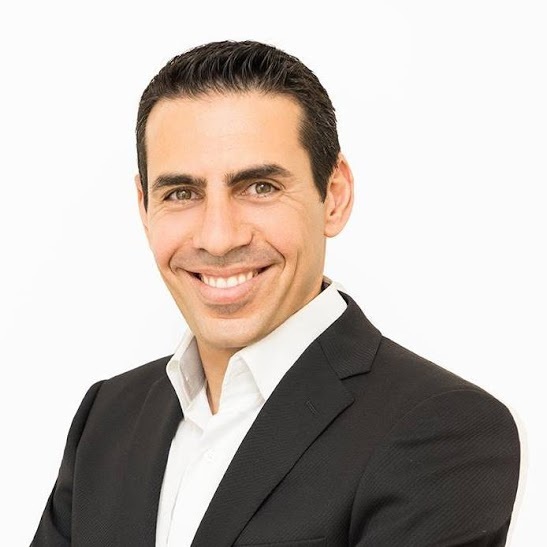 I’m Assaf Levy, the co-founder and CEO of yes.no – a new crowd interviewing network. I’ve spent the best part of my career working in internet marketing and advertising management, and previously founded the digital marketing agency Web Pals. I was lucky enough to build a great team there, and we sold the company (now XLMedia) in 2012 and took it public on the LSE in 2014. Now I am able to work on my passion project yes.no! What inspired you to start yes.no? Most of us have questions that we’d love to be able to ask our heroes (and get answered), but there isn’t always a simple way to do so. I myself had a question for a musical hero of mine, Samy Birnbach (Minimal Compact vocalist and lyricist), about a song that was dear to me, and I dedicated a lot of time and effort to get my answer. After that experience, I realized that a lot of people likely had the same problem, that many others would also benefit if this interaction had been in the public realm, and that my hero himself also enjoyed engaging in meaningful, respectful Q&A. And so yes.no was born! yes.no is all about connecting people; experts with their audiences, influencers with their fans, the interesting with the interested. It’s a place where good quality in-depth conversations can take place without getting lost in the noise, through the age-old format of questions and answers. Our platform is person-centric, so rather than being a forum for you to ask your question to the community, everything is focused around the person being asked. These aren’t time-sensitive AMA sessions either; once you open a profile people can continue to ask you questions. And all this is built in a social network format, with a personalised feed. What is your daily routine? What habits would you say an entrepreneur needs to have? In the mornings I help out with the kids at home before arriving at the office reasonably early (9.30 is early in the start-up scene). Every day is different; as usual a CEO’s duties span the entire company. I tend to eat a quick bite in the office or go out for a lunch meeting. I try to set themes for each week to focus myself and my tasks. But as for general habits, something I know now that I wish I’d known earlier is that it’s important to get good rest, not burn the candle at both ends, and enjoy what you’re doing. Not all entrepreneurs share this philosophy, but for me it’s the most important thing. “Hooked” by Nir Eyal is a great book that focuses on creating a product, and one that ensures its users form habits around your product and get ‘hooked’. I loved it. And I am very grateful that Nir himself is answering questions on yes.no! What is the best way to find employees? I don’t think there is a magic answer here. I have people on my team that I’ve worked with at previous companies, that I’ve been introduced to through friends, and that I’ve found by posting in job-seeking Facebook groups. No method is foolproof, it’s about making sure you click with the people and can imagine yourselves working together. What critical part do start-ups often get wrong? I think they often underestimate the importance of building a strong team of good people that will work together towards a common goal. So often important work is outsourced, or the wrong people are hired just to fill immediate gaps, and it can end up costing the startup a lot in the long run. I am lucky to have a wonderful wife and two great young kids, so I enjoy family time at home. I also enjoy volleyball and mixed martial arts, plus I’m a massive music fan! I have a large record collection, and listen to a lot of new wave. To start asking a question yourself sign up at Yes.no!